The Basketball Tournament (TBT), signed DraftKings as a promotional partner for the 2015 event and upcoming NBA Conference Finals. The lucky person that wins this free TBT contest earns an official team sponsorship from DraftKings, a pioneering online gaming hub that runs daily fantasy sports tournaments via proprietary tech, also receives travel for a team and themselves to whatever region they want. The Sports Techie community blog had the opportunity to catch up with Jon Mugar, Founder and CEO of TBT, about this innovative fantasy basketball deal with DraftKings coming on the heels of their ESPN television partnership and just over two weeks before the second year tournament tips off. Read more about TBT business development at this link, here. The contest winner also earns travel and accommodations for all members of a selected team, themselves and a guest. 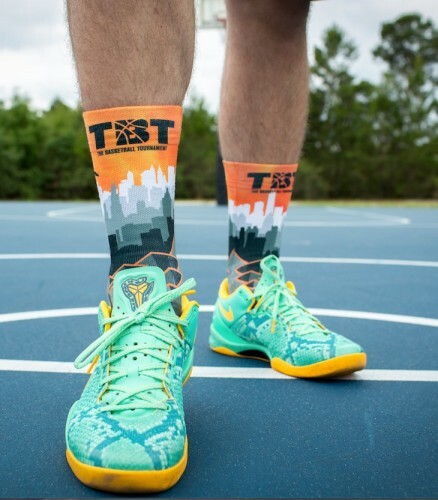 Other prizes include, sponsored uniforms and shooting shirts from DraftKings, a per diem, and apparel from official TBT providers in the Boston area, Rock ‘Em Socks and iSlides. TBT and partner merchandise is available for sale at the online Store. The company goal was to have 65 teams like the March Madness tournament but in 2015 up to 96 teams have an opportunity to win the winner-take-all $1,000,000 prize. Defending champion Notre Dame Fighting Alumni was awarded automatic entry to the regionals. The opening TBT rounds get started July 10-12 at regional sites in Los Angeles and here in Atlanta. Play continues in Chicago and Philadelphia, July 17-19. ESPN coverage begins Thursday, July 23, during the Super 17 from Chicago with the Notre Dame Fighting Alumni facing off in the opening game against the lowest seeded Chicago entrant, televised live on ESPNU. The Round of 16 begins on July 24 and TBT will live stream the games. On July 25, all four Quarterfinal games are to be streamed live on ESPNU. The final rounds move to New York City for the semifinals and Championship Game at Fordham University, August 1 and 2, broadcast on ESPN. “Our event is all about fan empowerment and we can think of no better way to empower our fans and their teams than by giving one of them the opportunity to earn a sponsorship from a juggernaut like DraftKings,” said Mugar. “Teams in the Northeast region may be looking to avoid an early round matchup with the tall and popular Syracuse alumni team, and winning this sponsorship is their chance to potentially do so by traveling to another region for the opening weekend thanks to DraftKings. TBT’s website had content about the popular YouTube channel of team BBall Breakdown operated by Coach Nick and how they have driven over 250 registered fan votes. If you have a similar social media channel Mugar thinks you are tailor-made to be a GM and enter a team. In terms of comparing social media use by TBT, teams and fans, generally, fan votes are trending ahead of last season. The engagement on Instagram is a reason it is the number one tool for outreach explained Mugar. There have been over 100 team applications and every one of these teams can outreach on TBT behalf over their social networks. Most TBT content is shared on their Facebook page. The #FreeAgentFriday program is underway and driving grassroots stories. Play free or paid contests and win real money! 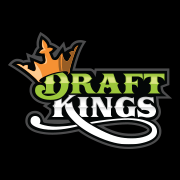 DraftKings also offers fantasy professional baseball, hockey, golf, football, soccer, and mixed martial arts, and college basketball and football. Today, Fantasy NASCAR was launched. 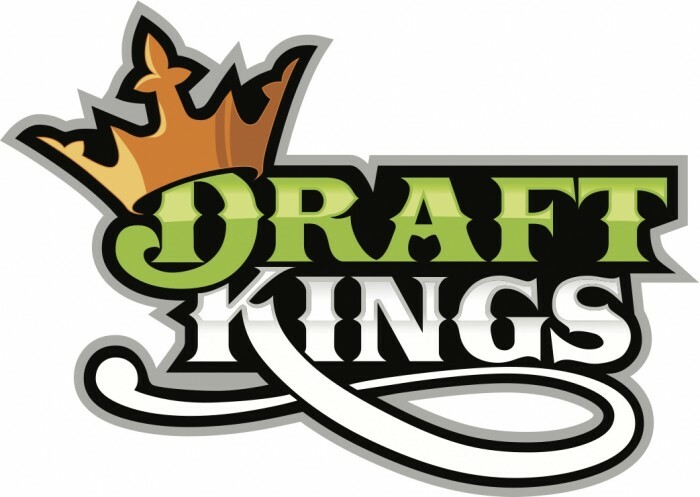 Launched in April 2012, Boston-based DraftKings, Inc. is a leading online gaming destination where players engage in daily fantasy sports competitions across fantasy professional baseball, football, golf, basketball, hockey, soccer, and mixed martial arts, and college football and basketball. DraftKings offers free and pay contests every day that award cash prizes. All contests feature a salary cap format, and new contests are offered every day with instantaneous prize distribution for winners. For more information, visit DraftKings at www.draftkings.com, like DraftKings at facebook.com/draftkings and follow on Twitter at twitter.com/draftkings. The Basketball Tournament Announces Unprecedented Partnership with DraftKings. Sports Techie, Mugar wants to encourage teams to get fans to play the free DraftKings fantasy game. If a team’s fan wins, the fan gets to travel with the team. If a fan wins, they get to sit on the bench with the team and be a part of the press conference. TBT is considered a Pro event. They plan to deliver awesome experiences for fans and those playing for the million dollars or losing in one and out fashion. DraftKings is able to network with teams and fans as a model that highlights TBT’s unique way to work with their particular demographic. Mugar feels they provide a way to meet the goals of partners, while being a value to a company by examining goals and leveraging their customer base to help achieve them while giving the contest winner the experience of a NBA team. The four regional host cities will be announced over the next few days. I noticed the Dunk-City Mercer team from Atlanta and Seattle Pro-Am squad are playing well. So far women are playing as indivduls but no team has yet entered. The Pistol Shrimps, a team of actress in the west, is not quite eligible yet. Mugar has not decided about whether to sign up for the DraftKings contest because he senses it could be conceived as a conflict of interest if he won since he told me his fantasy sports skills are pretty high. I advised him to enter and if he wins, give the entry away in another contest. The TBT DraftKings contest begins next week. Draft, shoot, score and win with TBT and DraftKings. My name is Kathy and I am the webmaster for a website that provides sports betting, DFS and eSports information, odds, predictions and sportsbook reviews. We have started a section targeting the US market and I am looking to buy advertising for this section. I was searching sports and gaming sites when I came across your site https://sportstechie.net and I would be very interested in having some type of advertising on your site.